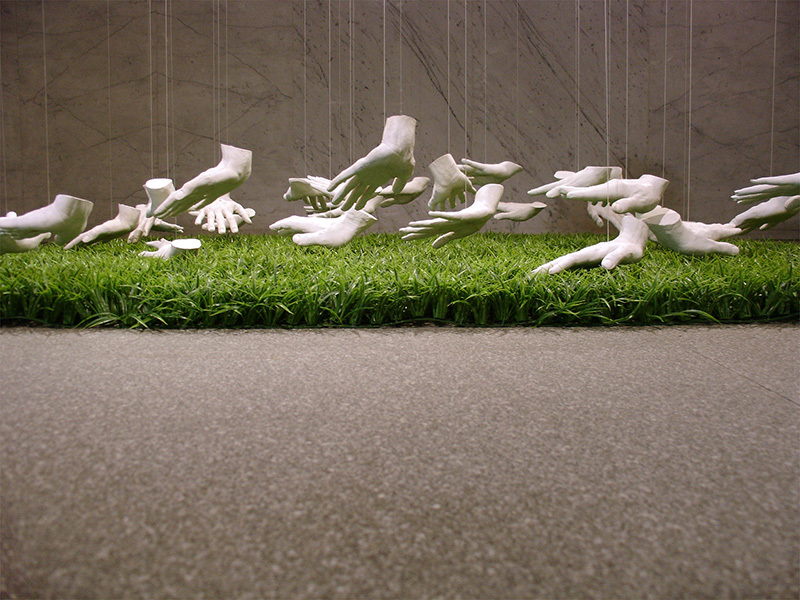 “Loosing Touch with Reality” is a multi-piece, temporal installation. 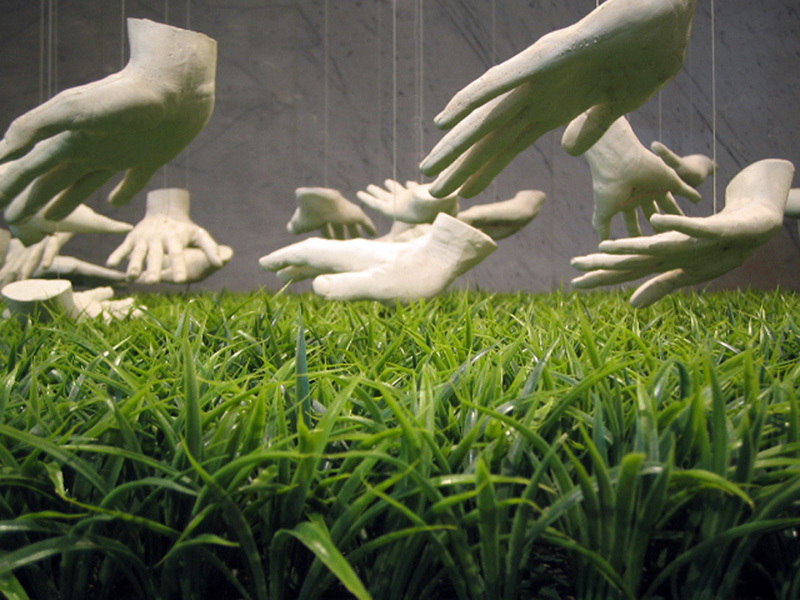 The thirty two plaster-cast hands hover over growing wheat grass, until finally enveloped . 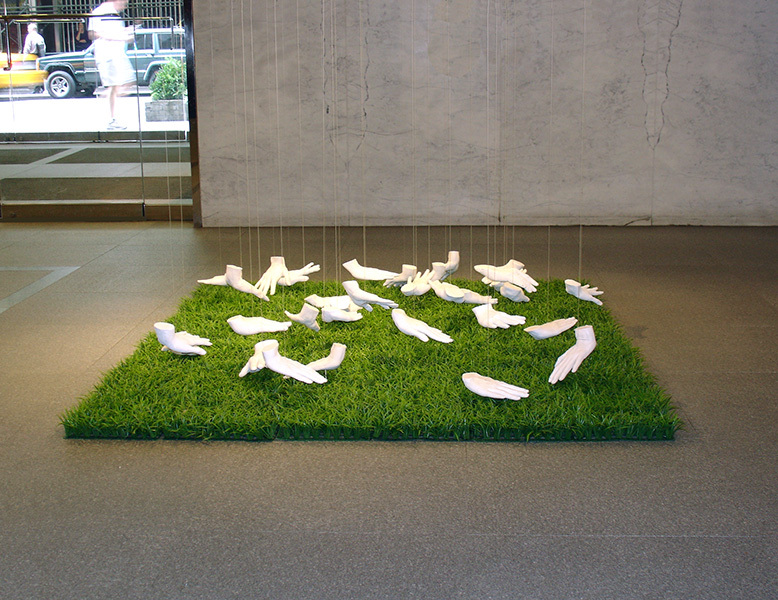 Ideal for a high traffic area, the installations is designed to stop commuters in their tracks, and invite them to examine their fundamental human connection with the natural world.